Small-Leaved Lime (Tilia cordata): growing, planting, caring. A tree widely used as ornemental to form avenues. 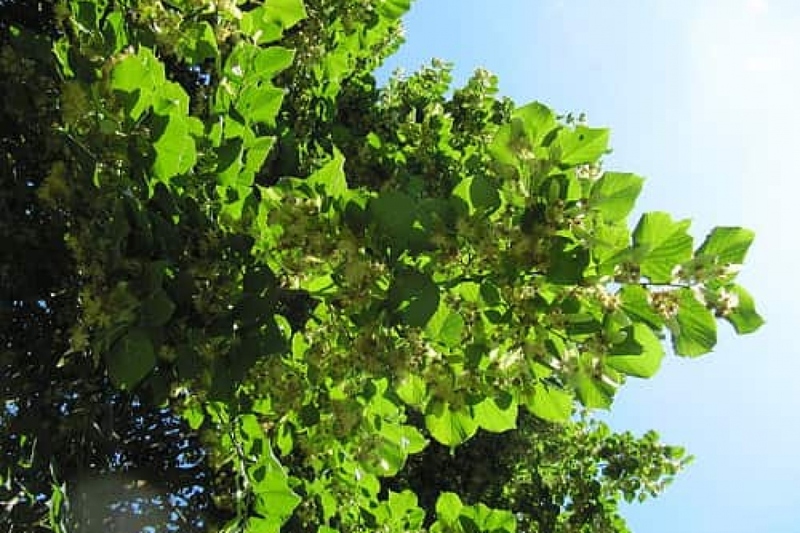 Full description for Tilia cordata not yet available. If everything goes right, you will not have to prune your linden. Otherwise, if certain branches die as a result of an accident or a natural cause, proceed as follows. Wait until winter, until all the leaves have fallen. Cut the branch at first 20 cm above the fork: this will prevent it to tear healthy parts when it falls. Then make a clean second cut to remove the 20 cm you left, cutting only 2-3 cm above the fork. Plant your linden in deep soil, fresh, in a luminous situation. Plant preferably in winter, in bare roots or in mound. Dig a hole deep enough, twice as large as the root ball, without mixing the layers of the soil. Plant a solid stake at the bottom of the hole, on the edge, inclined to the prevailing winds. Cut the root hair - the fine roots that looks like hair - to balance the volume of roots and foliage. Plant without burying the boundary between trunk and roots of the tree, putting the soil layers in the same order you removed them. Tamp the soil around the roots with your foot, so you do not leave a pocket of air, and attach the stake to the trunk with a suitable extensible link. Form a hollow in the soil and water abundantly until you fill it.